Radiohead in Montreal or Quebec City? Inform me about the next events for Radiohead. Enroll yourself to our priority waiting list for Radiohead to be alerted when new tickets are available. Filling this form doesn't engage you to any purchase. 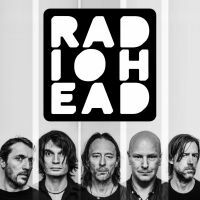 Radiohead will be back in Montreal, on July 16th and 17th, 2018 for two concerts at the Bell Centre ! During this new North American summer tour, Radiohead will also be visiting Toronto for two nights at the Air Canada Centre, on July 19th and 20th. Radiohead last performed in Montreal in the summer of 2016, in a festival context : they were headlining Osheaga 2016 ! This time, they will bring their electrifying show to arenas across North America. Don't miss it !